It's been a week of protest over the failure of two grand juries to indict police officers in the killings of black men in Ferguson, Missouri, and the New York City borough of Staten Island. The media have focused on protesters who have swarmed freeways, blocked trains and vandalized businesses in San Francisco and the East Bay. A quieter but perhaps more powerful protest in Oakland last weekend targeted a Bay Area ritual: weekend brunch. Last Saturday in the city's affluent Rockridge neighborhood, a few dozen young folks, mostly people of color, quietly walked into cafes and restaurants. After a short announcement, they began reading the names of African-Americans killed by police across the United States. Dozens of names were recited: "Jamel Canney: 13 years old. Kenneth Harding: 19 years old. Raheem Brown: 20 years old" and so on. Each name was followed by the declaration, "Ashe." That's a word from West Africa's Yoruba language meaning roughly, "So it is." The scene was repeated in restaurants and cafes up and down College Avenue, including Crepevine, the Claremont Diner and Zachary's Pizza. One of the organizers was Oakland resident Wazi Davis. 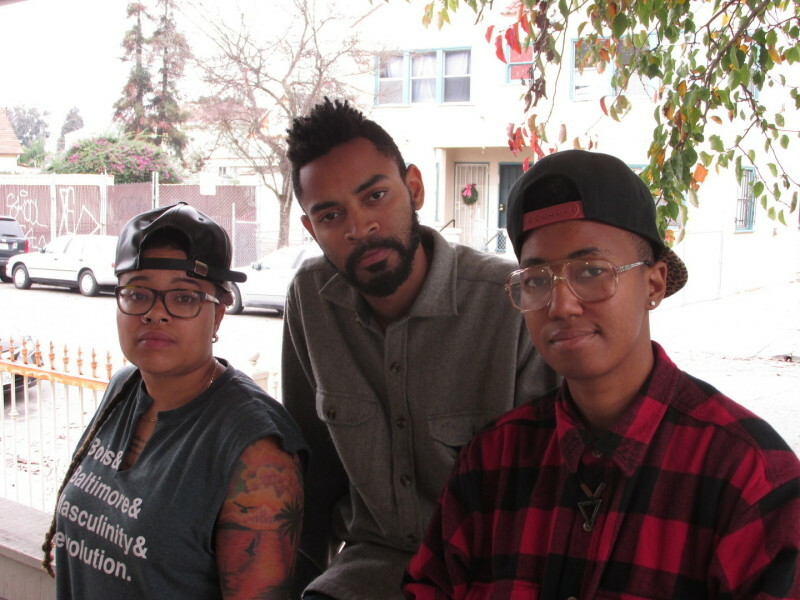 Davis and fellow organizer Wild Tigers say Black Brunch aims to express the pain and anger black Americans feel over police killings to communities like Piedmont and Rockridge. "We're saying, 'No, you are going to stop eating right now, you're going to stop whatever transaction it is you're putting in at the cash register, you're going to sit here and you're going to listen to us read the names of our brothers and sisters,'" said Davis. "So it's really a moment of disrupting business as usual and saying we're not going to accept this anymore," Wild Tigers adds. "This is not something that is going to continue to happen. As long as it is happening, no business as usual anywhere will continue." Compatriot Zachary Murray says he was motivated to organize after seeing megaphones in the hands of white men during recent protests. "You know, folks who I felt should be taking the time to listen," Murray says. He says violence and vandalism during the recent protests -- and the attention the media are giving that aspect of the demonstrations -- fail to reflect what he and his peers are feeling. "With sort of like a lot of the violence, the fires, the broken windows that we've seen, those folks don't represent the folks who really had the rage right now, the folks who really had the anger," he says. "They're taking advantage of real rage and real anger and really characterizing a movement in a way that they should not be." Murray says he's hoping that in some small way his group can help build a new generation of protesters who don't accept things the way they are. The Black Brunch organizers have more protests planned -- probably not interrupting breakfast again -- but they're not saying what's on the menu next time.